Our Overnight Masks are designed to support the skin’s night-time repair and recovery process. They are blended with Aloe Vera Gel, essential oils and other natural plant oils to nourish and restore your skin whilst you sleep. Rich in vitamins, antioxidants and essential fatty acids, these intensely moisturising face masks will absorb deep into the skin, to boost hydration levels and promote a more youthful, radiant glow. For best results we recommend that our Overnight Masks are left on overnight. 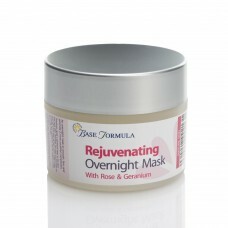 Our Rejuvenating Overnight Mask is blended with Aloe Vera and natural plant oils for smoother, firme..